Even if there are a thousand and one different GPS application today, nothing is better than true GPS tracking device determining accurate location or making fleet management easier. Take a look at our suggestion in online catalogue and purchase vehicle tracking gadget “TKSTAR” for available price. 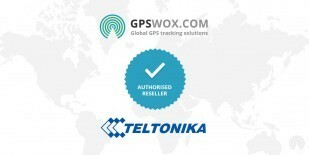 TKSTAR GPS Tracker devices support GPS Tracking Software provided by GPSWOX. Do not wait and get your own TKSTAR GPS Tracker device which support GPS Tracking Software.